Welcome to the Mobalytics Predictive Tier List for League of Legends for Patch 9.8! This list was curated in collaboration with our analyst, Hewitt “prohibit” Benson, our Challenger Coach, Adam “Morïarty” Isles, and Will “Picklepants” Burton. Unlike most tier lists, we publish ours before, or as a patch goes live, according to the predictions of our in-house experts. Here are the Patch 9.8 notes for reference. If you have any questions about our choices or process, ask us on Discord! We have two tier lists, one for the majority of player base and one for high ELO. There are many smart people who have good thoughts on what’s strong, but our tier list is specifically focused on helping you progress in your rank now. The lines between these lists are not black and white, we recommend using the Majority-ELO list until it around Diamond where switching to High-ELO becomes more effective. We also recommend using the Majority ELO tier list to play your off role! If a champion has a higher skill floor (Hard or Severe), it will take more time to learn them (20-50 games +) but you will be rewarded with better results over time whereas a Simple champion may fall off as you climb higher. If you’re wondering how we make our tier list, check out our video explanation! To improve the accuracy, usefulness, and understanding of our Tier List, we’ve decided to split it into two lists – one for the wide majority of the player base, and another intended for high elo. The goal of our list is to give the best recommendations for what we think will help you best climb in solo queue. Previously, our placements could often conflict with what players saw in a Challenger player’s stream or in pro-play. Often times, a champ could be very strong in a high-skilled players hands but we didn’t feel right endorsing the champ for a lower-skill player to pick up. Having two lists will allow us to make better and more relevant judgments across the spectrum. We’ll also be changing our difficulty rating system from Learning Curve to “Skill Floor”. After receiving feedback from the community, we realized that some were associating Learning Curve with including the full potential (Skill Ceiling) of a champion. We want to avoid that for the general list and want the definition to lean more towards how long it would take to start seeing a champion’s power level on our list in terms of the number of games invested. Let’s say you’re debating between learning and climbing with Jax (A-tier | Simple) or Rengar (A-tier | Severe) – you’re going to want to go with Jax. Why? This is because Jax has a lower skill floor and would require less games to play at an A-Tier level in solo queue. If you tried to pick up Rengar, you wouldn’t get the full value of A-tier until after about 15 matches of practice whereas with Jax, you would get that full 15 everytime you play him. Another example would be between Nidalee (S-tier | Intense) vs Xin Zhao (B-Tier | Simple). Let’s say you’re about to play your last match before promos and you get auto-filled to Jungle (a role you’re not too familiar with). Even though he’s lower on the list, you’d be better off choosing Xin because you don’t have the required number of games to break the skill floor of Nidalee. Higher skill floor champions will scale better with time investment – Severe champs will outperform Simple champs in the long run because Simple champs generally have their weaknesses exposed the higher you climb. So if your question is, “How long until I’ll start seeing results?”, the answer would be harder = longer time, easier = shorter time. If your question is. “Will this champion still be strong as I climb in ranks?”, the answer would be harder = moreso, easier = less so. Disclaimer #1: If a champion isn’t on our Tier List, it doesn’t necessarily mean that you can’t climb with them. You’ll just have to put in more effort to get similar results as our Optimal, Great, and Good choices for climbing. Disclaimer #2: This list is meant to evaluate the champions that we believe are best for climbing Solo Queue. Although there can certainly be some overlap, we are NOT looking to name the champions that are the best in pro-play or organized, competitive 5 on 5. This is why champs that require a ton of team coordination such as Ryze, may not be included or ranked highly. If you’re following our tier list, we know that you want to climb as fast and efficiently as possible. Sign up for our platform to use the best improvement tools for League of Legends! The patch for MSI 2019 is officially here! “Most people know that Vayne bot lane is extremely strong at the moment with her amazing two item spike. More recently, especially in regions like China and Korea, people have even started to main Vayne in Top lane. “The pick of the patch for me on 9.8 is Talon mid. After all the nerfs to Lissandra and bully control mages losing their unmeetness sustain through Corrupting + double Dark Seal, AD mids are definitely on the rise. Talon is your typical AD assassin with the best roams in the game and 100-0 capabilities. Starting Longsword + Reffilable potion while maxing W against range matchups and Q max against melee is your best options for early game. 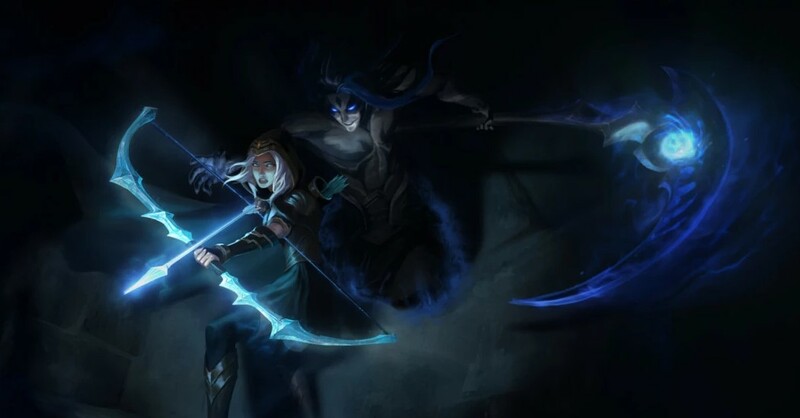 “Playing easy champions can come with a bit of a stigma but it’s hard to deny their effectiveness when Sona / Taric Botlane has been seeing competitive play. Neither champion received any direct changes this patch meaning the strategy should still be good to use. As always, we welcome all discussion and feedback. If you have any questions about picks that we didn’t expand on or would like to let us know how you feel about Patch 9.8 and our predictions in general, join us in our Discord! If you’re wondering how we make our tier list, check out our video explanation. Hi. Just wondering what changed for Low Elo Zed to make him become S tier as opposed to A from the last Tier List. Shouldn’t everthing stay the same for him? Hi, where did Wukong in the jungle go? Also, why do you think Zilean mid lane is an S tier choice? I’m literally low gold level (so not good at all), but in most low elo games, if I see Zilean mid people just eat his bombs and they hurt when stacked, all throughout the game. Plus you can support teammates, and give xp lead to jglr. Lets not mention that he has no problems clearing, and I personally just love having Zilean on my team. Especially as a top laner he helps me get 10000 more picks. So I’ve been playing Ashe and having a lot of success with her in my mmr bracket (g3-p3). What exactly makes her so exploitable for lower elo games? Easy to play and a lot of CC (Passive + W + Ult), also global vision with her E.
I’ve mentioned in this same comment section that I’m not very good but I disagree, he usually just gets out scaled and out kited so it feels pretty useless and you can’t really carry in solo q climbing. This is from my personal experiences. I only like, low gold lol. Hello, why no Hecarim top? He is not even added somewhere. Im just kinda wondering, where is Azir? Like, waht is holding him so far back? I know he hasn;t been in the meta for a couple seasons now, but is he really that bad? I am wondering: did you consider Sylas for the jungle section and just conclude he was below B tier, or did you only look at him for mid and top?